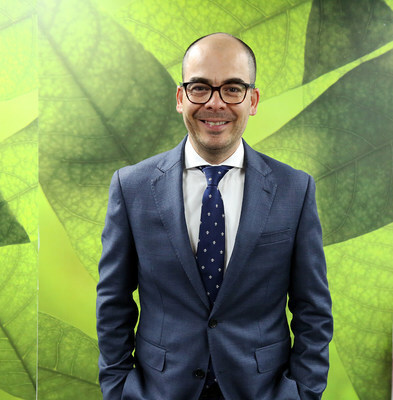 BOGOTÁ, Colombia, Aug. 8, 2018 /PRNewswire/ -- Ecopetrol S.A. (BVC: ECOPETROL; NYSE: EC) announces that as of August 7, 2018, Jaime Caballero Uribe has been appointed the new Corporate Vice President of Finance (Chief Financial Officer). Mr. Caballero has more than 20 years of experience with companies in the oil and gas sector, both in Colombia and abroad. He has served as Ecopetrol's CFO for the Downstream Segment since July 2017. During this period he has also represented Ecopetrol at the Board of Directors of Propilco and Gases del Caribe, among other companies. His experience prior to Ecopetrol includes 17 years at BP plc, where he held leadership positions in Colombia, North America, Africa and Europe, most recently as CFO for the Brazil region (encompassing Brazil, Uruguay, Colombia and Venezuela). Mr. Caballero is an attorney with a degree from the Universidad de los Andes (Colombia). He has an MBA in Energy Business from the Fundação Getulio Vargas (Brazil), and has carried out executive studies in advanced financial management at Duke University and Wharton School of Business (University of Pennsylvania). Mr. Caballero will be the compliance agent for financial reporting to the Colombian Finance Superintendency and the international markets.